Ukraine is progressing steadily by reforming its economy and aligning itself closer to the European Union, the country’s top envoy to Korea said, noting the Eastern European nation looks to engage South Korea for a future-oriented partnership. 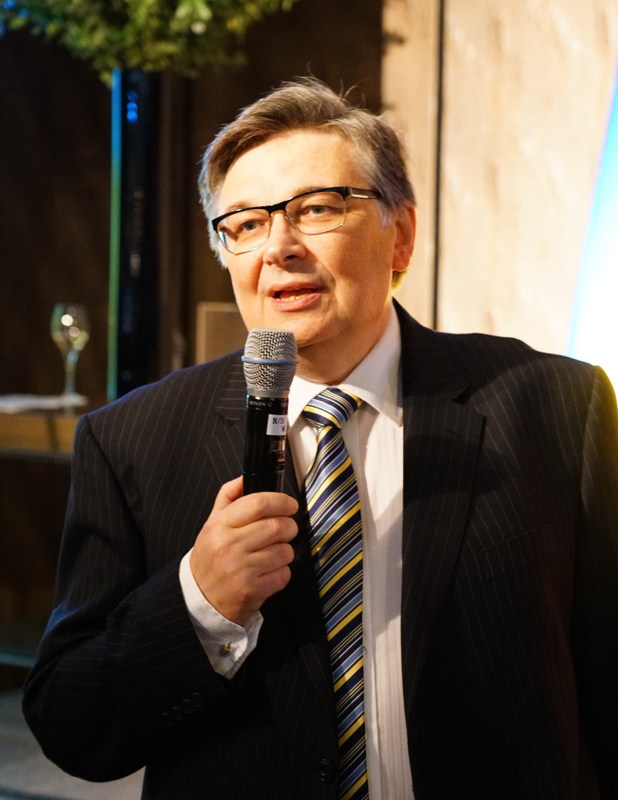 “Our country, with our new armed forces, is emerging stronger from its conflict with Russia, our economy is boosted by modernization reforms and the association agreement with the European Union, and our society is aware of its goals and existential choices,” said Ukrainian Ambassador to Korea Olexander Horin at a reception in Seoul on Sept. 11. The event marked the Ukraine’s 27th anniversary of independence and 100th anniversary of national liberation. He also expressed his appreciation to the Korean government and other nations for supporting the United Nations Assembly Resolution respecting Ukraine’s territorial integrity, which rebuked Russia’s annexation of Crimea. Kiev voluntarily denuclearized by dismantling what was the world’s third-largest nuclear arsenal through the Budapest Declaration of 1994. Ukraine, Russia, Britain and the United States signed a memorandum to provide Kiev with security assurances in return for its accession to the Treaty on the Nonproliferation of Nuclear Weapons as a nonnuclear weapon state. “That’s why Ukraine is a strong supporter of peaceful reconciliation and denuclearization of the Korean Peninsula,” said Horin. According to World Bank, the Ukrainian economy grew 2.3 percent in 2016, 2.5 percent last year and is expected to register 3.5 percent growth this year -- a remarkable turnaround from 2015, when its economy shrank by nearly 10 percent. The nation’s global economic rankings have improved considerably, the diplomat said, pointing to indices measuring the ease of doing business, innovation and logistics performances. Last year, Ukraine’s information technology sector grew by 20 percent and agricultural production by 17 percent, he underlined, adding that energy, manufacturing and infrastructure development sectors remained competitive and attractive to foreign investments. Touching on bilateral relations, Horin noted that Ukraine was included in Korea’s Northern Economic Cooperation strategy, and in April, its First Vice Prime Minister Stepan Kubiv visited Seoul to boost bilateral trade and investment. Kiev and Seoul established diplomatic relations in 1992. With over 200,000 IT employees, Yun noted, Ukraine is the world’s third-largest outsourcing hub after India and China, and also has a globally competitive software sector.